Over 50 groups are collaborating in an attempt to save the internet from “breaking” by standing up against laws on censoring hyperlinks or charging fees for linking. They warn laws such as the one mulled by the EU would stifle freedom of expression. Dozens of companies from over 20 countries have joined the campaign, along with over 25,000 people so far, in an effort to push back against the “powerful media conglomerates,” who want people to become liable for merely linking to certain content. “The web without links is like a world without roads,”states the coalition organized by the Canadian OpenMedia.ca. 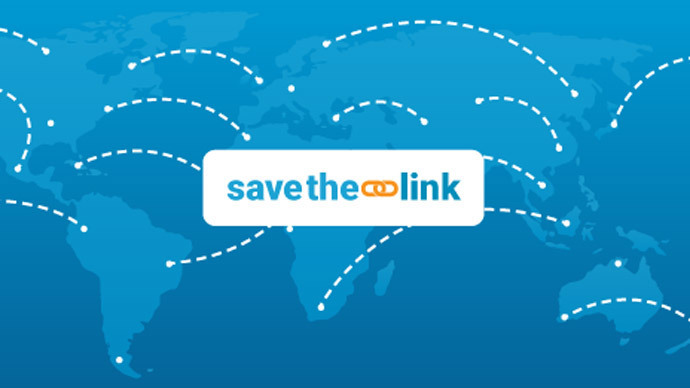 All those who join sign a statement declaring the “right to link” a basic freedom. “Linking is the foundation of the Web. We oppose regulations that aim to censor links to content or otherwise penalize services that utilize hyperlinks,” the statement reads. The campaign has been launched as countries around the world consider implementing various online restrictions. One of the biggest concerns at this point is with EU legislators, who are reviewing copyright laws and debating over 500 amendments to the European Union’s Copyright Directive. Their decisions could potentially hinder the right to share links freely. “The link censorship amendments being considered could restrict the online expression of internet users around the world. These amendments are out-of-step with our crowdsourced plan for free expression online that over 300,000 people around the world contributed to,” OpenMedia Campaigns Coordinator Meghan Sali said in a press release. All of the above amendments are in regard to the MEP Julia Reda’s report on the revision of the European copyright directive. Reda’s original draft was largely popular with the Save the Link campaigners because it affirmed the freedom to link. “If implemented, these extreme amendments would undermine the Right to Link and ruin the internet as we know it,” the activist warned. Aside from the EU’s amendments, Germany’s ‘ancillary copyright’ rule restricts how others can link to their news websites, basically, forcing search engines and news sharing websites to acquire licenses for links, which is similar to a ‘link tax’. A similar law has been adopted in Spain, forcing the shutdown of the popular Google News service due to the introduced fees for companies that link to external content. Meanwhile, in the US and Canada, local courts have been employed to force search engines to erase or block content domestically and sometimes even globally. Australia is also looking at blocking hyperlinks leading to popular sites linking to legal shared content.